A good way to look at American Made is exactly what Doug Liman has described it as: a fun lie based on a true story. 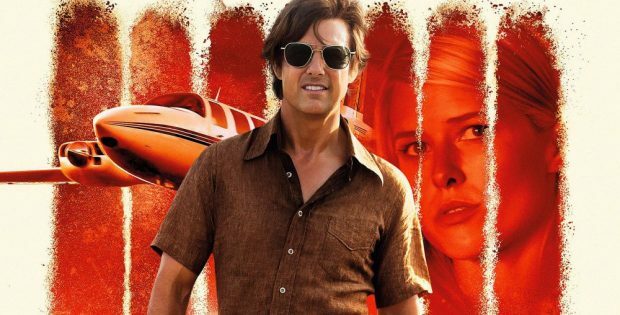 Because when it comes to reality, the only thing between the real life of Barry Seal and the vehicle starring Tom Cruise in common is that they have a guy named Barry Seal in them. Seal was a TWA washout, fired when he claimed medical leave for a smuggling scheme, who wound up running guns and drugs from South America into the United States for various cartels. He wound wind up on the business end of a gun, killed by drug cartels for his role as an informant for the DEA. The film takes enough liberties with his life that if it was Barry Seals was named something else it’d be a great character study about a man who succeeds beyond his wild dreams, paying the price for his hubris in the end. It’d be similar to Middle Men, a fictionalized version of a fascinating moment in American history. The problem is that the film tries to be Barry’s story but also have Tom Cruise in the lead. Barry’s story is much darker and Barry is never the sort of charismatic hero Cruise tends to play. As such Barry’s story has to be changed so radically that it winds up becoming more of vehicle for Cruise than a historical account. In its stead we get a film trying to find a healthy medium between trying to find a place to keep Cruise as someone we want to root for and a film trying to get into the “enemy of my enemy is my friend” motif that drove geopolitical antics of the Cold War. There’s a ton of extras on the 4K, giving you an insight into the film and into Barry Seals.